Hi there! I had some time lately, and I used it for drawing some more on the WL project of course. I promised two weeks ago to update more about The Chief Character, its not directly about The Chief character, but things around him. The character here is his adviser, he is with The Chief 90% of the time, he is also just a sub character as The Chief is in the series. 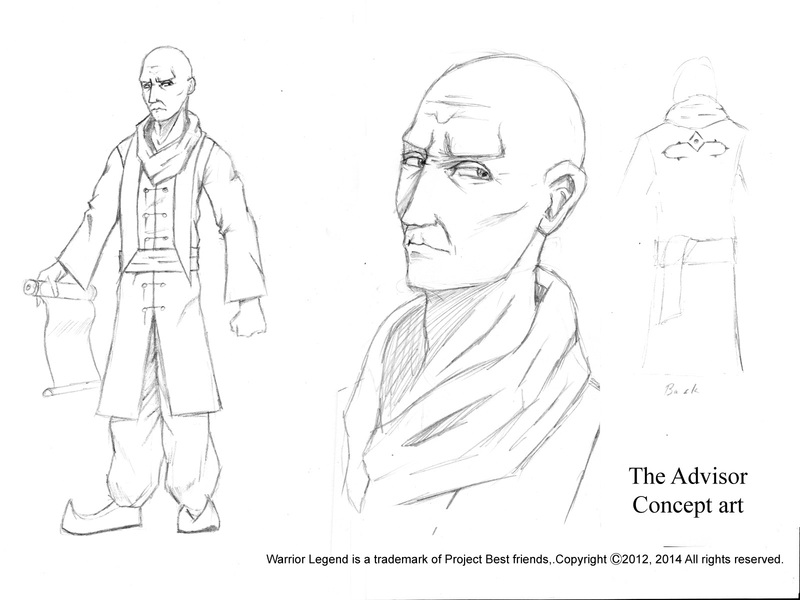 The Adviser an elder man, he is The Chief's right hand and helped him with though situation and choices for ages that Augo faces. 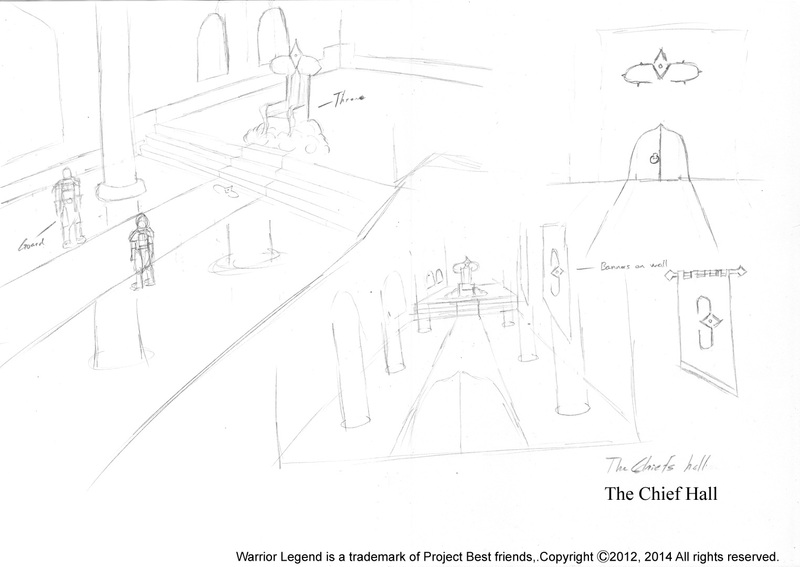 These two other drawings of the interior of the hall in The Chiefs castle, small event will happen here, so it had to has to have a proper design.There are four Augo solider guards in the room, two at the door and two up in front close to the throne. They also following The Chief around. 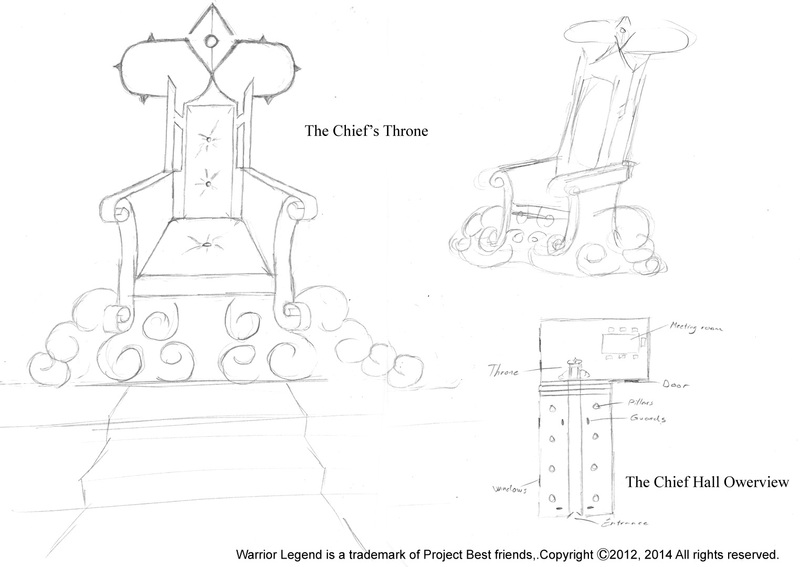 Hope you like these ones as well, Any question about the drawings or Warrior Legend, feel free to ask me anything. I'll be back with more next time, signing out for now!